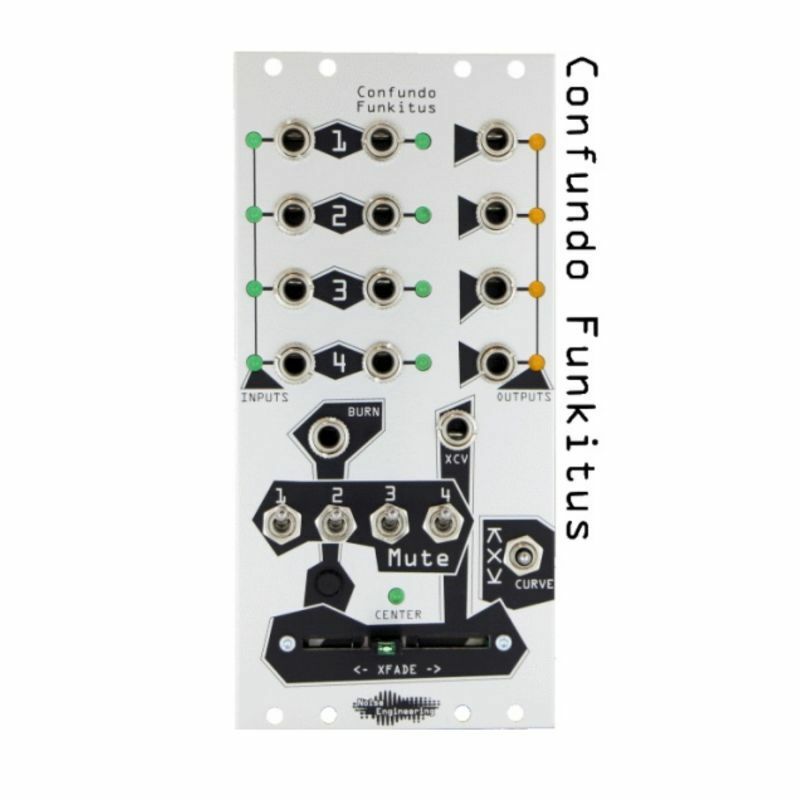 Confundo Funkitus crossfades between two sets of four rhythms using probability. Three different probability curves can be selected to control the behavior of the crossfader. 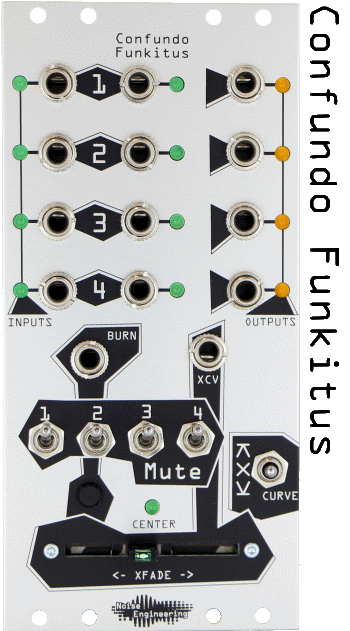 Per part switch mutes are included for specifically with live performance in mind. Confundo - blend - from Latin Confundo "to blend"